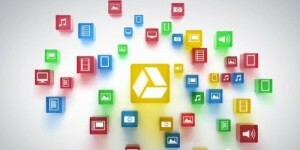 Google Drive, Google’s online file storage system, is now alive. With it you can upload and access all of your files including videos, photos, PDFs, Google Docs and more. Google Docs is integrated with Google Drive so you can work on all your documents, presentations and spreadsheets, as well as share content and then add and reply to comments on any file (PDF, image, video, and so on) and receive notifications when some one else comments on a shared item. It has added some social networking features to cloud file storage. Drive will also recognize text in scanned documents. (similar to what Evernote does). One other nice (and big asset!) feature is that you can open all these types of files (over 30 different ones) right in your browser, even if you don’t have the original program the file was created in on your computer. You can access your files on the web and install the Drive on your Mac or PC and your Android phone (iOS app coming soon). There is also a screen reader for blind readers. You can also search your files easily by keyword, file type, owner and more. Not surprising that you can search like this since it is Google. The free account is 5GB. You can purchase more if you need it. 25GB for $2.49/month, 100GB for $4.99/month, or, get ready for it, 1TB for $49.99/month. That’s a lot of memory. When you upgrade to a paid account, your Gmail storage goes up to 25GB also. This is another great option for backing up and having cloud access to all of your files. The social sharing and commenting features and how it is integrated into Google Docs makes everything dovetailed into one area.